Have you ever come across something so painfully, incomprehensibly obvious, that rather than simply sit back and appreciate the thing for what it is, you end up getting more and more frustrated that you didn’t think of it first? 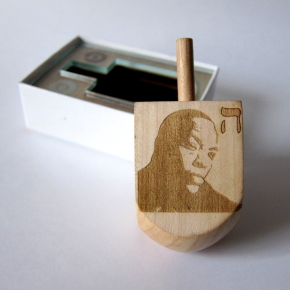 Each Dr. Dre face has been carefully chosen to correlate with the ‘aftermath’ of the dreidel’s spin. 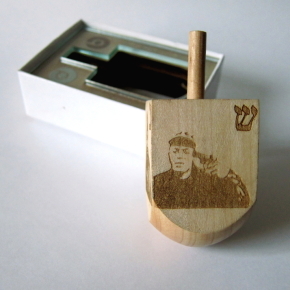 ג Gimmel, ‘take all,’ is a dreidel player’s dream. 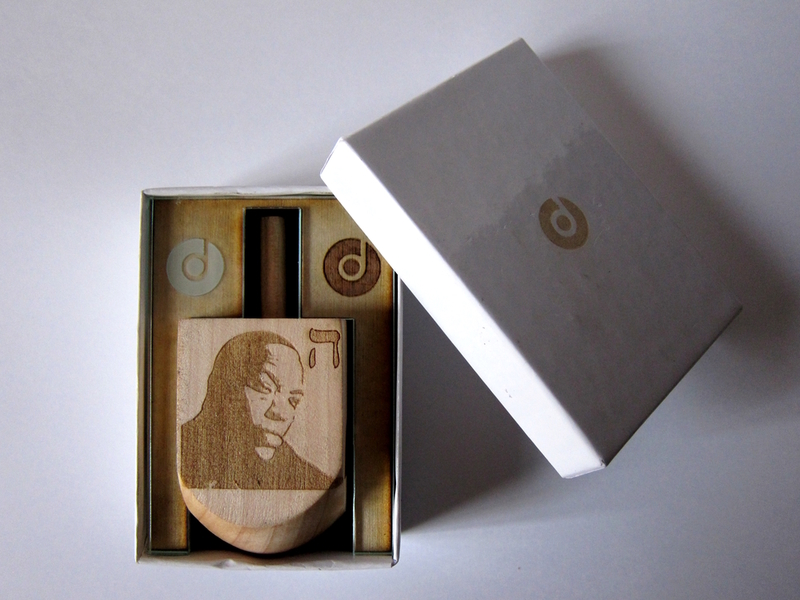 It gets a thumbs up from a happy Dr. Dre. ה Hay, ‘take half,’ is no reason to party, but isn’t too shabby, hence the mildly smug portrait or Dr. Dre. נ Nun, ‘nothing happens,’ is a boring outcome. A dead-pan Dr. Dre affirms this. ש Shin, ‘put one in,’ is pretty depressing; the dreidel player loses an M & M or other such playing piece. 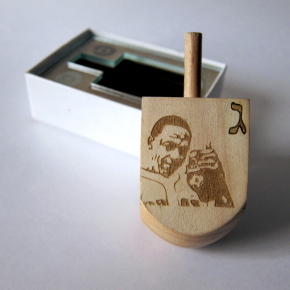 But shins are seldom a chronic problem in dreidel. Dr. Dre’s definitely overreacting. 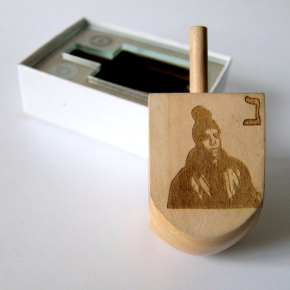 Unfortunately, as Rothstein told Mashable, the Dr. Dreidel was simply an “on the fly” idea, and isn’t currently available for purchase, although she’d consider producing it for retail if there’s enough interest. I think that’s a pretty safe bet.